Who Makes a Good Growth Coach Franchise Owner? Before founding The Growth Coach, Dan Murphy was a CPA for an international accounting and auditing firm. Clint Blinka was a track and field coach in public schools. Other franchise business coaches were corporate trainers and vice presidents of sales, marketing and operations. Becoming a successful Growth Coach franchise owner doesn’t necessarily mean you were a corporate titan. It means you have a heart for business coaching, a desire to serve and a willingness to guide business owners, managers and salespeople to new heights of success. At the heart of our program is the idea of facilitating The Growth Coach process for each client. The decision to become a Growth Coach owner comes down to that individual’s desires. Consider these reasons our Growth Coaches decided to make the switch. Then ask yourself: what kind of life do you want? Clint Blinka was at the top of his field, a highly qualified track and field coach who started out in local high schools and transitioned into collegiate operations at Sam Houston State University, a Division 1 school. 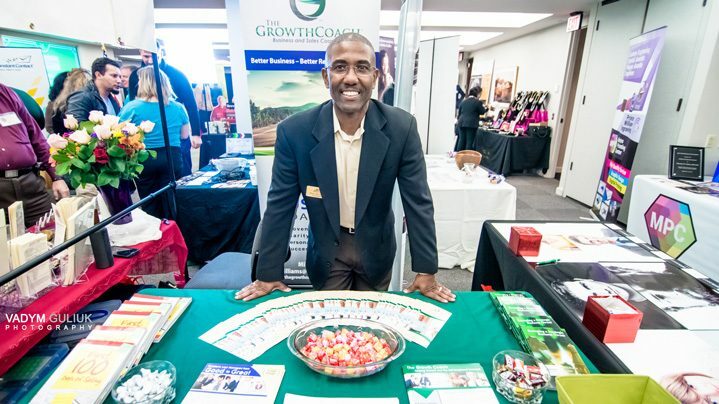 The Growth Coach franchise model provided him the flexibility to achieve a work-life balance that worked for his family while also allowing him to continue using the coaching skills he had developed at a Division 1 school. Now, as The Growth Coach of The Woodlands, Texas, Clint gets the best of both worlds — and he’s home every night and on the weekends. Dan Murphy isn’t just the founder of The Growth Coach. He’s also a long-time business coach himself, with a thriving practice and years’ worth of clients under his belt. For Dan, the opportunity to leverage his resources, skills and abilities to help small businesses is motive enough to keep at it, now more than 25 years in. The Growth Coach franchise owners know: they help people work their businesses, not be worked by the businesses they own. This leads to growth for the client, long-term relationships and revenue for The Growth Coach and a remarkably fulfilling, mission-driven career that you can be proud of. Kurt Treu spent more than 30 years in banking, an industry where the value of ongoing coaching has long been embraced. He knew first-hand the importance of coaching employees, managers and executives at all levels, and when he finally decided to take the dive into coaching, he chose The Growth Coach. For Kurt, being a coach, not a consultant, was the chief differentiator. Kurt points out that, with The Growth Coach, you’re never going it alone, either. We’ve invested the time and resources you need to become successful in your coaching endeavors. Learn more about how we help you position your business for continued growth and long-term revenue.